SA’s largest computer retailer, Incredible Connection, says it is enjoying strong sales of Windows 7, Microsoft’s newest desktop operating system. The new software went on sale worldwide on Thursday. Incredible Connection opened its nationwide chain of stores earlier than usual to cater for anticipated demand. “Based on first-hand experience, we’re seeing lots of demand in our stores,” says Garth Davies, software buyer at Incredible Connection. Though he says the retailer will only know tomorrow how many units of Windows 7 it has sold on day one, Davies says demand is good. Incredible Connection has bought R4m worth of Windows 7 stock from Microsoft. Davies says demand is strong because of the perceived speed and stability of the new operating system. 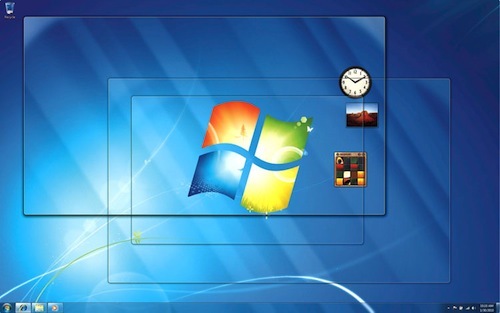 Unlike Windows 7’s predecessor, Vista, which was released in 2006 to poor reviews in the technology media, Davies does not expect large numbers of consumers to return the software to Incredible Connection stores. He is confident that the introduction of Windows 7 will lead to an uptick in PC sales. He declines to predict a figure, but says Windows 7 may be the catalyst that lifts PC sales out of the doldrums they’re in as a result of the economic recession. Davies says Windows 7 has been almost as keenly anticipated among consumers as Windows 95 was when it was introduced in 1995.
Business consumers are also expected to view the new release more favourably than they did Windows Vista. A majority of companies shunned Vista, preferring to continue using Windows XP, which was released eight years ago. IDC Africa director Mark Walker recently indicated that he expects demand for Windows 7 in the corporate market to be strong, in spite of recession. He says companies won’t even wait until a first service pack — a collection of bug fixes — is released, as Windows 7 is a solid operating system at launch. A new US research report backs up Walker’s view. More than three-quarters of companies surveyed plan to deploy the software, with 30% installing it before mid-2010. I wouldn’t buy a blank CD from incredible ripoff! Impossible, do we really still have so many apathetic / uneducated consumers that Incredible Corruption is still making a brisk trade? Rather support smaller suppliers or online suppliers in your area like; http://www.DC3.co.za; http://www.Prophecy.co.za; etc.